AUSTRALIA again seems on the verge of having its sixth prime minister in just 11 years as discontent about the coalition's energy policy bubbles over. 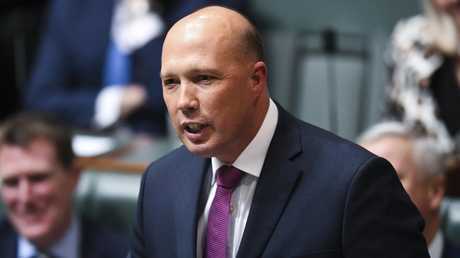 This time round, the main contender appears to be Home Affairs Minister Peter Dutton, known mostly for tough stance on immigration. In his first speech to federal parliament 16 years ago, Mr Dutton paid tribute to his parents. "Their outstanding quality is their tenacity," he said in February 2002. It's a quality that many attribute to the 47-year-old as well. He's often said that as a Queensland police officer for almost a decade in the 1990s he saw the "best and the worst that society has to offer". "I have seen the wonderful, kind nature of people willing to offer any assistance to those in their worst hour, and I have seen the sickening behaviour displayed by people who, frankly, barely justify their existence in our sometimes over-tolerant society." Mr Dutton is most often seen as the hard-nosed immigration minister who "stopped the boats" by militarising the department and taking an icy cold approach to the health and wellbeing of asylum seekers in offshore detention - sending the strongest possible signal to people-smugglers. He's also been known for a sharp tongue, once describing a journalist as a "mad f...ing witch" - for which he later apologised. But he also has a softer, empathetic side, such as overturning visa decisions when special cases are put to him. Mr Dutton is Liberal Party to his bootstraps. Joining the party in the northern Brisbane outskirts aged 18, he found a natural fit in an organisation which valued individualism, reward for achievement and traditional values. He was first elected to the Brisbane seat of Dickson in 2001 and went on to successive victories, in a seat full of aspiring small business people and industrial sheds. In 2004, John Howard saw value in appointing Dutton as workforce participation minister, then later revenue and assistant treasurer before Kevin Rudd toppled the coalition government in 2007. 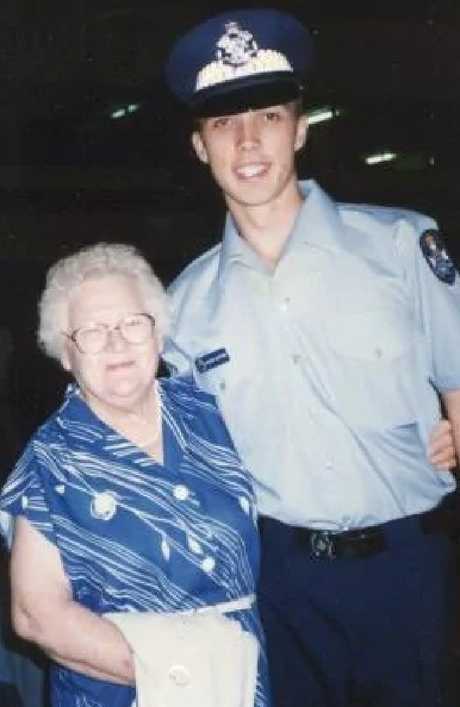 Peter Dutton as a police officer with his grandmother. One of the most common refrains in Mr Dutton's many speeches is that Labor stands for nothing because of its ultra-pragmatism - the "whatever it takes" mentality so well defined by former Labor minister Graham Richardson. It was with that in mind he was effective in keeping the Rudd-Gillard- Rudd Labor government on its toes as opposition spokesman for finance, deregulation and health. Then with the return of the coalition under Tony Abbott in 2013 he became health minister. However it was as immigration minister and more recently Home Affairs he found his niche and a true outlet for his tenacity. On the weekend former prime minister Tony Abbott reportedly told a meeting of Tasmanian Young Liberals on the weekend that he looked forward to "a Dutton government", however he declined on Monday to speculate on Mr Dutton's leadership ambitions. 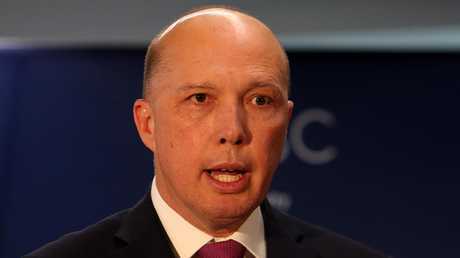 If Mr Dutton was to win the leadership, it may help improve his chances of holding on to his marginal seat of Dickson, according to one expert. "It's not a good place for a man to start his prime ministerial ­career," Paul Williams, a long-time political scientist at Griffith University told The Australian. "(But) if he could seize the leadership of the Liberal Party, that might actually help him (in Dickson)." However, the victory could be short-lived as Dr Williams believes Dutton is unlikely to lead the coalition to success at the next election. "Will it save the government? No. Would a Dutton government be re-elected? No. It would probably just block their demise in Queensland, but it probably might accelerate it in other states." But at least some of Dutton's Queensland colleagues obviously believe it is a risk worth taking. Ahead of Mr Turnbull's press conference today, Sky News reported the President of the Liberal National Party of Queensland, Gary Spence was urging MPs to withdraw their support for Malcolm Turnbull and get behind Peter Dutton. There are fears Mr Turnbull is not popular in Queensland, as evidenced by the recent by-election results in Longman. On Monday, Mr Turnbull batted away leadership speculation saying: "Peter Dutton was at our leadership group meeting this morning and he was at the cabinet last night. He's a member of our team. He's given me his absolute support". Mr Dutton also tweeted his support on Saturday saying the Prime Minister had his support. Whether the temptation of claiming the prime ministerial crown becomes too enticing, remains to be seen.